There are selections of excellent sports watches out there, but some brands stand up against the rest. When it comes to GPS fitness trackers, Garmin is the name you’ve probably heard thrown around as well as Suunto. Buying an activity monitor, whether for fitness or outdoor adventures, it often always just comes down to a matter of personal preference. Either way, we decided to put together this guide on how to choose between Suunto and Garmin timepieces to help you figure out which one is worth your dime. 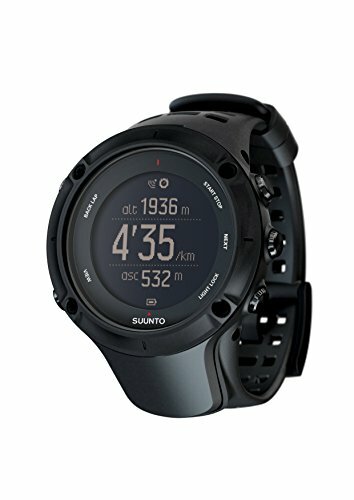 Anyone looking for a quality GPS tracking watch would find either the Suunto Ambit3 or Garmin Fenix a worthwhile investment. Both brands have spared nothing to make sure that they present sports watches bundled with exciting features and performing at peak functionality. The two watches also do come with several standard features as well as a few notable differences. They are excellent multi-sport trackers and can track swims, cycling, and running. The two sports watches are GPS-enabled. They provide activity stats displayed right on the watch. The watches also function as an excellent navigation system, provide backtracking information, weather details, a compass, altimeter, and barometer. Both are waterproof up to a 100-meter depth. Both support smartphone connectivity and allow changing the watch settings via the Garmin/Suunto app. When it comes to their differences, the first one is the resolution of each sports watch. The Fenix features 218 by 218 pixels resolution making it more comfortable to read even out in the sunlight and offers an overall beautiful display. The Ambit3, on the other hand, comes with a 128 by 128 pixels resolution extending a somewhat grainy display and may not be the easiest to read outdoors. The Suunto Ambit3 watches take the win for its battery life offering an impressive 200 hours with modest GPS use. The Fenix, on the other hand, provides 20 hours of battery life with GPS and 50 hours of use in the “Ultra Trac” mode. The Fenix takes the user-friendliest badge only because it allows you to access pretty much all of its features from the watch. The Ambit3 is a bit restrictive and requires toggling through several of its features from the smartphone app. It can end up being a disadvantage when you want to access specific features and do not have your phone nearby. That gives the Fenix an upper hand in this regard. Both watches do support smartphone and computer connectivity, but the Fenix also supports wifi, Bluetooth, Ant+, and USB as well. The Ambit3 only supports Bluetooth and USB connectivity. Each of the watches connects to the brand’s respective fitness app available on both iOS and Android devices. Both apps fairly function in a similar way allowing you to view tracked data in detail, connect to social media, and share activities too. Both the Suunto Ambit3 and Garmin Fenix watches come in stylish designs and neutral colors. Both also relatively fall on the bulky side and would be considered “manly watches,” but they are unisex timepieces. The Fenix 3 is available in two color options including silver and grey with red accents. The Ambit3 Peak comes in a classic black hue and a “sapphire” model with a silver outer face, and a sapphire blue option. The Fenix 3 provides pre-set alerts during activities and also has inactivity alerts. It also has silent alarms and wakes you up by vibrating. Another useful feature the Fenix 3 has is the ability to help you locate your smartphone when you have misplaced it. Except for call or message alerts, the Ambit3 lacks these features. The Fenix 3 has removable and replaceable watch bands, and you can use any standard watch band in the correct size with the tracker. The Ambit3 comes with a fixed watch band. The Fenix 3 comes in a durable frame, and it is built to withstand a fair amount of wear. The battery performs impressively delivering 20 hours of use in GPS mode and an additional 30 hours when on the “Ultra Trac” mode. It can track multiple sporting activities including cycling, swimming, rowing, running, skiing, and hiking. Vibrating alerts call your attention to various aspects including during interval training, inactivity alerts when you have not moved for a considerable amount of time, and silent alarms to wake you up without disrupting others in the same room. Ant+ connectivity which is the preferred choice for fitness monitors enabling connectivity to other devices such as sports watches, cycling computers, and smartphones. The Fenix 3 also supports WiFi, Bluetooth, and USB connectivity. It has arm movement sensors and can track strokes while swimming, and a stopwatch allows you to monitor different activities when needed. The Fenix 3 can update tracked data wirelessly and upload the information to your smartphone or computer. The watch also comes with a world timer allowing you to tell time anywhere around the world. The Fenix 3 functions excellently as an all-day activity tracker, and it can record details from various sporting activities. It is also a suitable sleep pattern tracker. The Ambit3 is a comfortable GPS tracker, and you barely notice that you have it on. Its accurate GPS tracker makes it possible to monitor different activities some of which include both open water and pool swimming, cycling, skiing, and hiking. It does provide notifications for received messages and calls. The sports watch also has a stroke counter allowing you to keep track of your strokes when swimming. Another handy feature it comes with is the ability to relay information about thunderstorm risk. Also worth mentioning is that the Ambit3 comes in the option with a Heart Rate Monitor and one that doesn’t have this feature. It can impressively provide 200 hours of use with modest GPS use. Snap photos when performing activities and piece them together through the Suunto app along with 3D maps of your route to create a movie highlighting your adventure. The Ambit3 works best for anyone looking to track endurance sports and activities like cycling, running, and hiking. It accurately tracks pace, vertical change, heart rate, and distance. 1. Which one is waterproof? Both the Garmin Fenix 3 and Suunto Ambit3 Peak sports watches are water resistant up to 100-meter depths. 2. Does it have a GeoCaching? Unfortunately, both the Suunto Ambit3 and Garmin Fenix 3 watches do not support geocaching. 3. Is it sweat resistant? Both the Suunto and Garmin watches are sweat resistant. 4. Is there a car charger included? The Ambit3 and Fenix 3 come with rechargeable lithium-ion batteries. However, a car charger is not included as a package when initially buying either of the sports watches. 5. How do you charge the watch battery? Both of the GPS timepieces have USB support and are rechargeable this way. You could still plug the included USB cable to an adaptor and recharge them directly from a power outlet. 6. Does it support MGRS? The Fenix 3 and Ambit3 both use the Military Grid Reference System (MGRS) but they mostly rely on GPS for navigating. 7. Do they show latitude/longitude? Both watches display latitude and longitude position formats. 8. Which one is better for swimming? While both GPS fitness trackers function well in tracking swimming, the Ambit3 Peak comes highly recommended because of its accuracy. You must now have a better understanding of the Garmin Fenix 3, and Suunto Ambit3 Peak watches, and possibly which one works for you. Apart from the price, the Fenix 3 being about $100 more costlier than the Ambit3 Peak, the two watches matchup in just about every regard. Even their differences are not that much of a dealbreaker to outrightly dismiss one over the other. Therefore, it is hard to declare one the solid winner, and when deciding which one to buy, you will have to rely on your preference. However, for longer battery life and a tracker that works best for endurance activities then you are better off going with the Ambit3 Peak. On the other hand, if you are in need of an all-day tracker with a friendlier interface and screen resolution, then the Fenix 3 is the right watch for you. 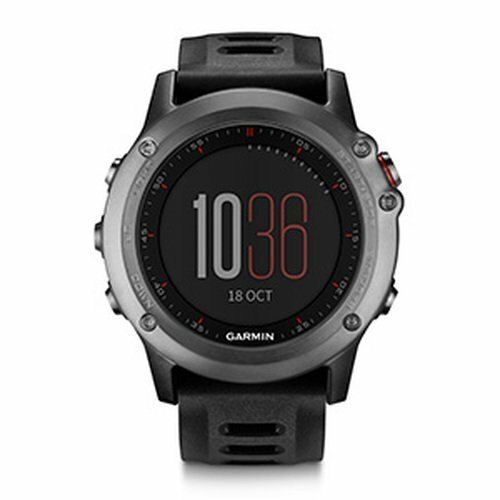 Regardless, you cannot go wrong with either the Garmin Fenix 3 or the Suunto Ambit3 Peak.